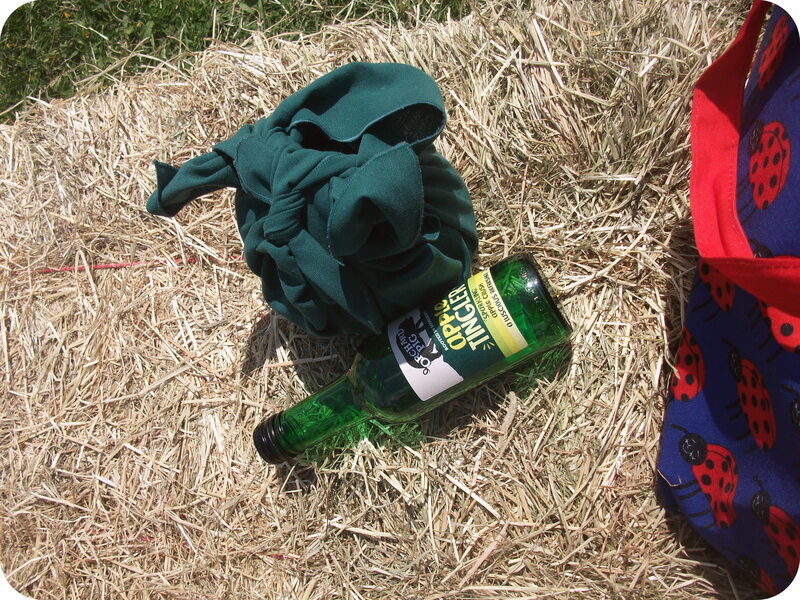 The other day we went to the first country show of the year. It’s always a lot of fun, with tractor and hedgelaying displays, dogs, falconry, sheep shearing, sheep herding, and much more. 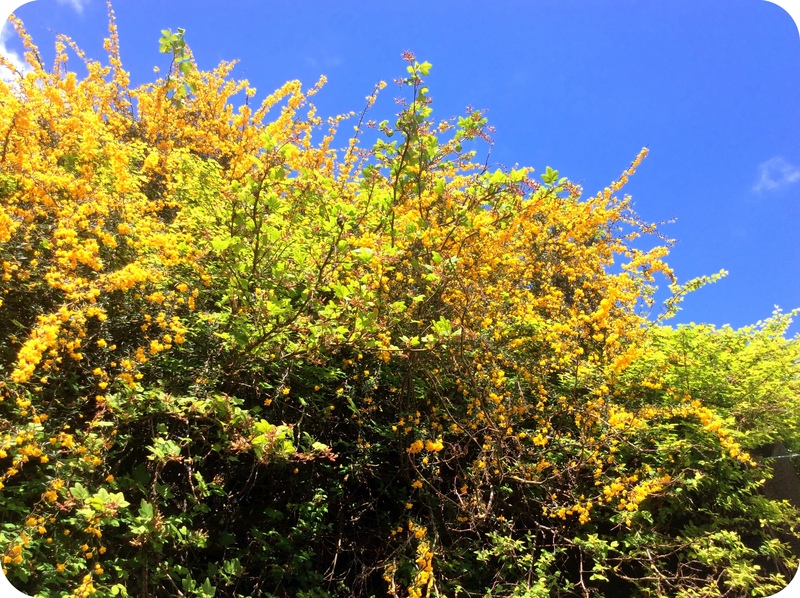 I was excited to see that the May was in bloom, which means it really is properly Springtime! Where we live it takes a long time for the warm weather to arrive, and even when it does, you can never trust it to stay nice, so we take advantage of the sunshine whenever we can. 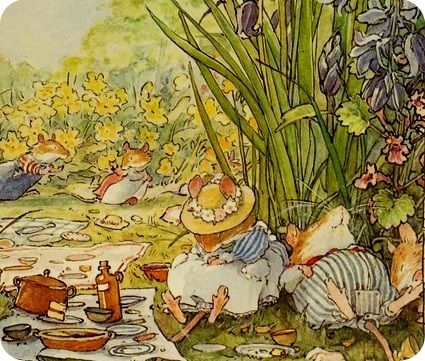 And one of the best ways to do that is to have a picnic, like the mice do in the “Spring Story” in The Four Seasons of Brambly Hedge. 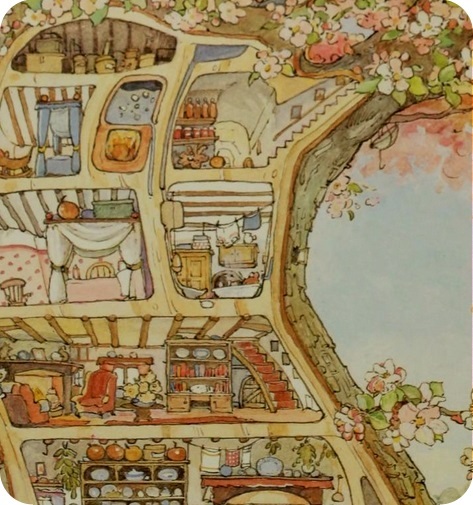 The Brambly Hedge stories involve the daily lives of a community of mice. Kind of like Redwall, but without the fighting and violence. The edition of Four Seasons that I read has an interesting introduction which includes the author’s description of how she came to write these stories. She says that one of her favorite pastimes as a child was to observe the tiny lives of little creatures in the grass, which is something that I used to do as well. Another interesting point is that she cites Arthur Rackham and Leonardo da Vinci as her main influences. Arthur Rackham is a wonderful illustrator, but it was da Vinci who inspired her architectural and technical interests. 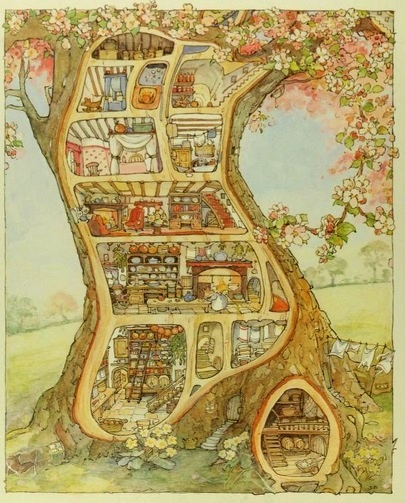 Apparently all the various dwellings and technology in Brambly Hedge was designed to actually work in real life, “apart from the occasional problem of scale.” Everything the mice use could in theory be provided by the countryside in which they live. You can see this thought and attention in the lovely illustrations, which are fun to pore over to try to see every little minute detail. I thought the introduction was very interesting, and while the stories themselves are obviously for younger children, older children who are interested in illustration, writing, or general world building might find it useful. But on to the story! 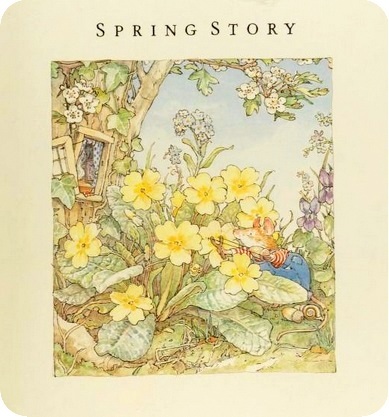 “Spring Story” is the tale of what happens in the mouse community on a Spring day which happens to be the birthday of young Wilfred Toadflax. 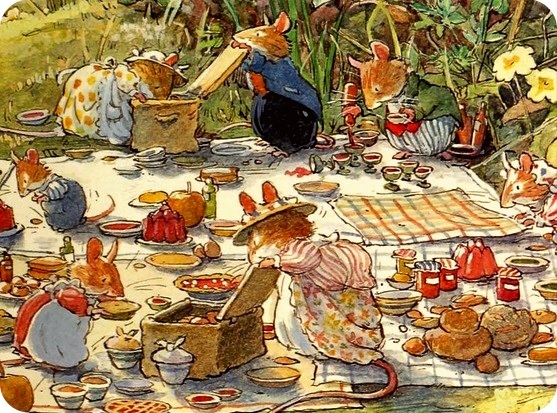 The rest of the mice conspire to make a surprise picnic for him. 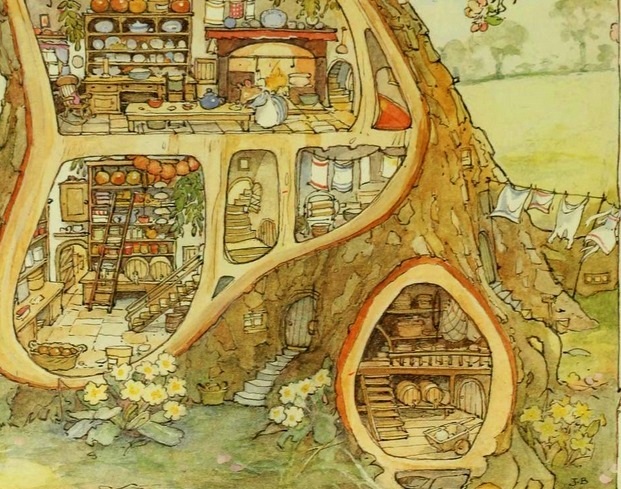 That is the gist of the plot, but the appeal is in the details of the various characters, their homes, and the exciting comestibles they come up with for the picnic. This chapter is a fun read, and while the text may be difficult for under sevens to read on their own, the pictures are really the star of the show anyway and should be interesting for all ages. And it would be good inspiration for young children to invent their own world, maybe inspired by watching the minibeasts in the grass. 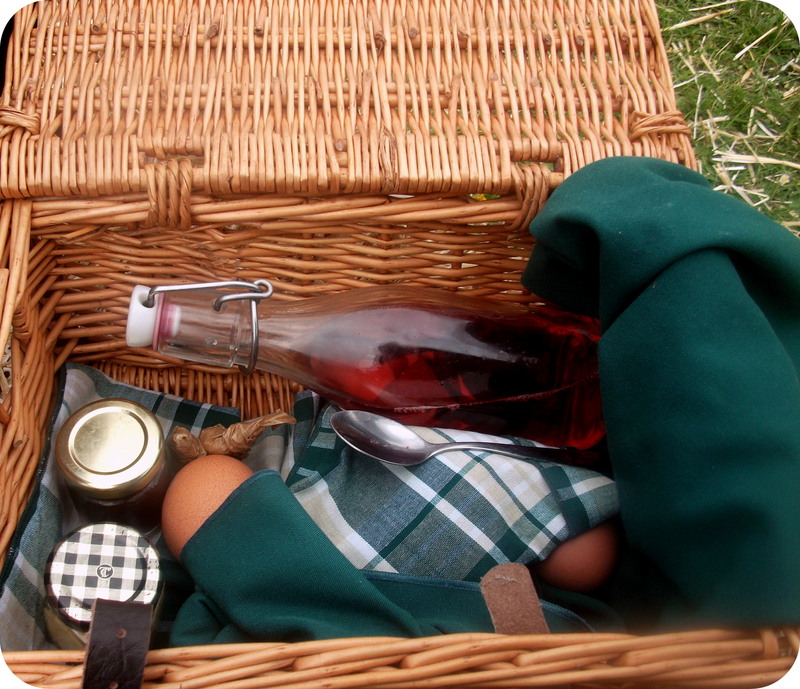 It is certainly a great inspiration for a picnic. Excuse for a walk: bluebell season. The mice seem to really like jam tarts. Just some of the things described in this story are: bread and bramble jelly, buns, cheese, bramble brandy, hazelnut cake with cream, and primrose puddings. 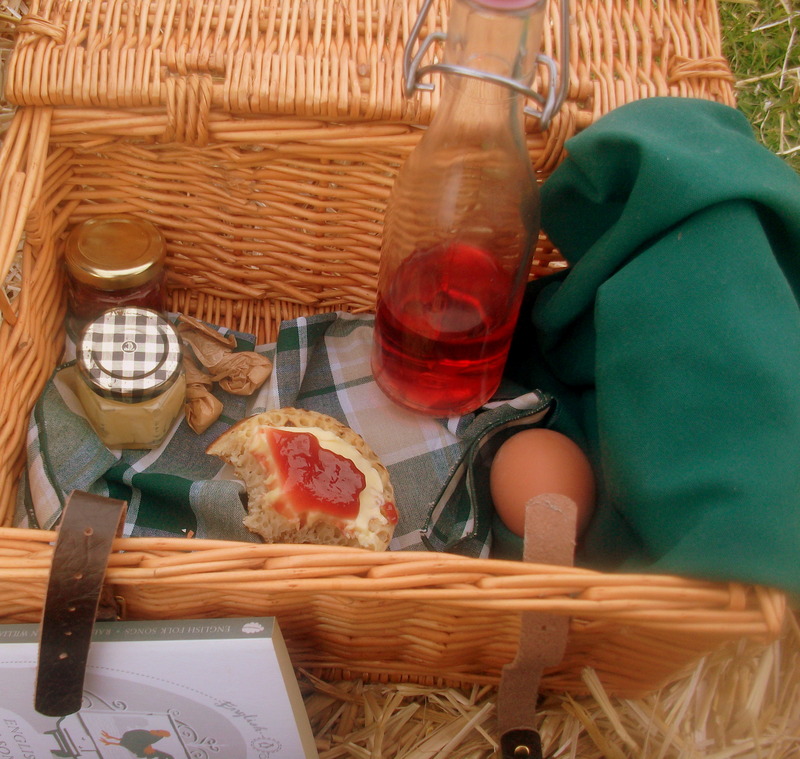 Bread and jam, buns, cake, and cheese are all great picnic foods. And it would certainly be interesting to make a primrose pudding! 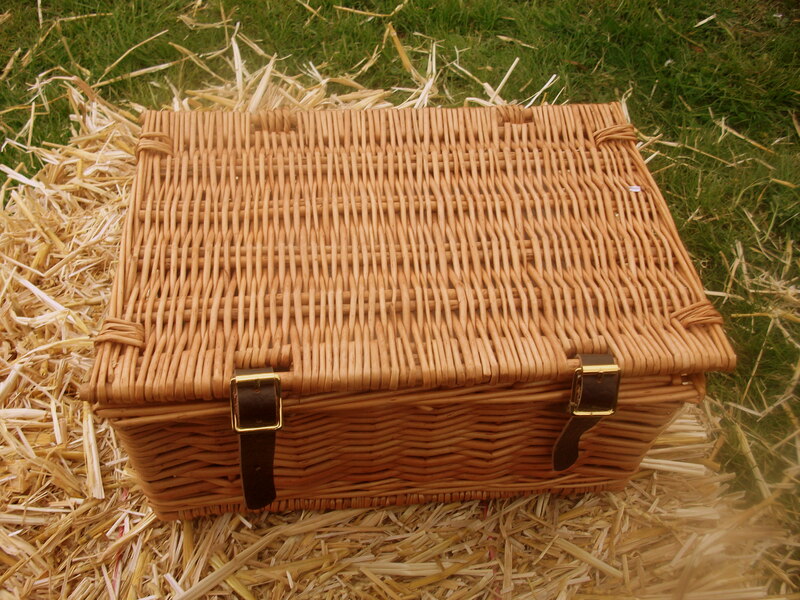 However, without a community of people to carry the picnic, and without access to such ingredients as primroses or clover flour, I think it’s better to pack something simpler. Here are two picnic menus that can be carried by one person. Pack in a hamper with two spoons, cloth napkins, and a container for the egg shells. May wine (or Maiwein or Waldmeisterbowle) is a wine steeped with sweet woodruff which might be difficult to get hold of outside of mainland Europe, plus it is not for the kids, obviously. You could substitute any other floral drink like elderflower cordial. Pack the sausages, onions and peppers in a ramekin or tiffin with a flat lid. 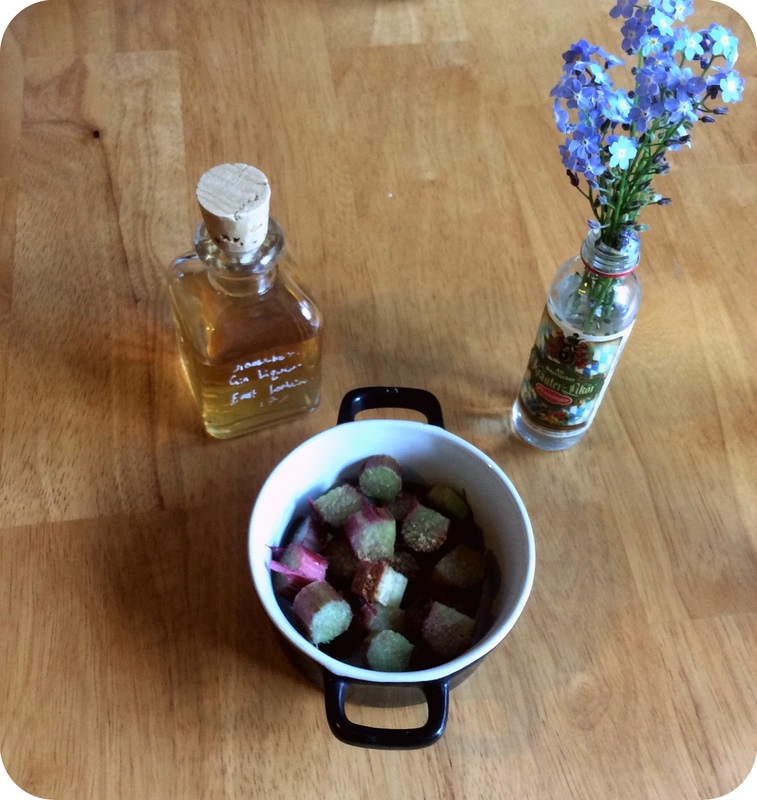 Put the rhubarb ramekin on top of the other tiffin. If you don’t have these exact containers you could use any sort of stackable containers. Put the stacked containers and cutlery (a spork is most useful) on top of a large cloth napkin and tie two corners tightly on top, and then the other two corners over again, like a furoshiki. This is really convenient and easy to carry. Another thing to consider is entertainment. In Brambly Hedge, after the picnic the grown-ups napped while the children played hide-and-seek, which is totally valid depending upon the circumstances. 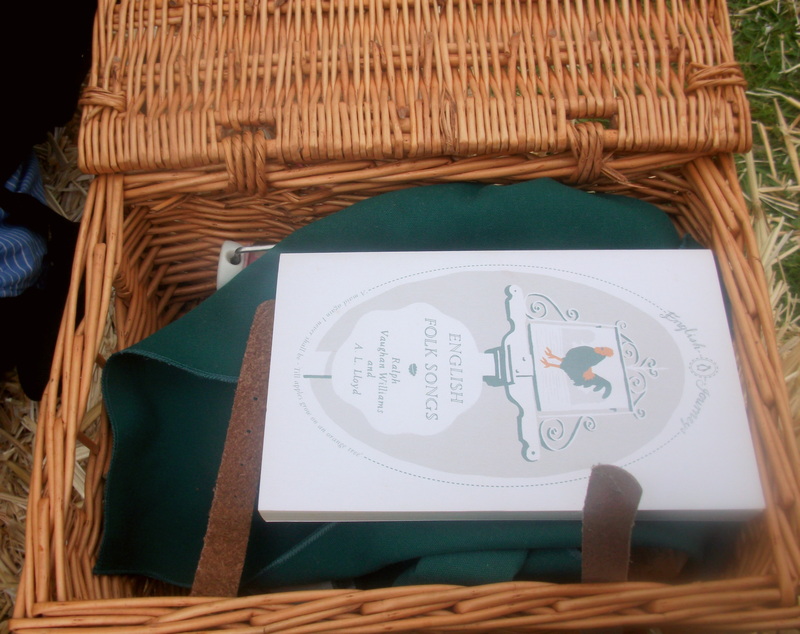 But you can also bring a book, which is another benefit of having a hamper. 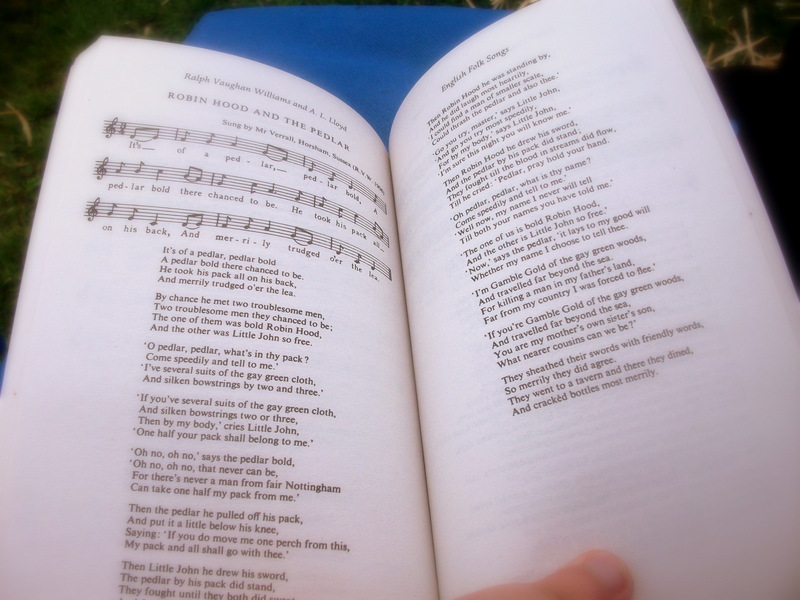 I brought a book of folk songs because it seemed appropriate for a country show in May. For the second picnic I packed a rhubarb crumble, which is definitely seasonal and an easy dessert. This one is grain-free. Rhubarb has such pretty Springy colors. 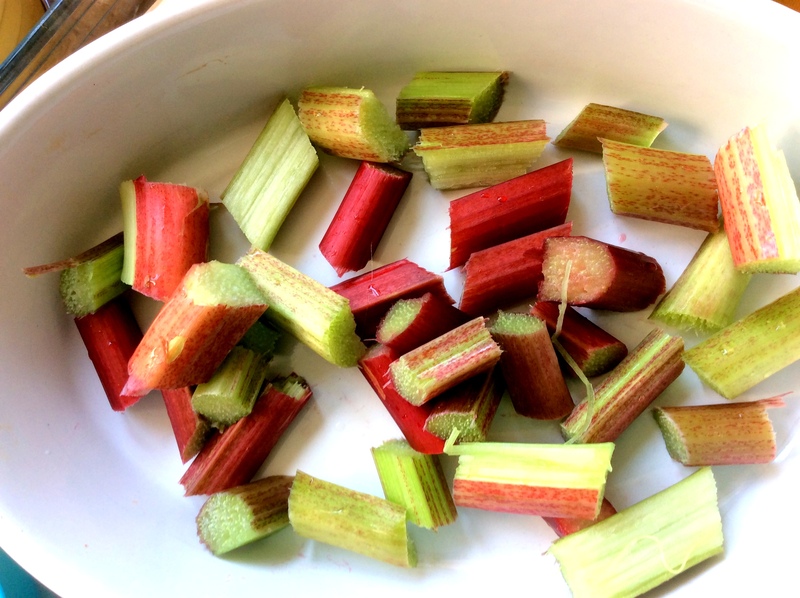 Put the chopped rhubarb in a baking dish (you can also put some in little ramekins like I did for the picnic; everything else is the same, it just cooks in about a 3rd of the time). Dust with the ginger and dot with the honey. Drizzle over the vanilla and the liqueur or jam if using. Put the rhubarb in the oven under the grill for 5 minutes, just until it starts to soften a bit. For the topping, mix the butter into the almond meal with your fingers until it is fully incorporated, then add the sugar. 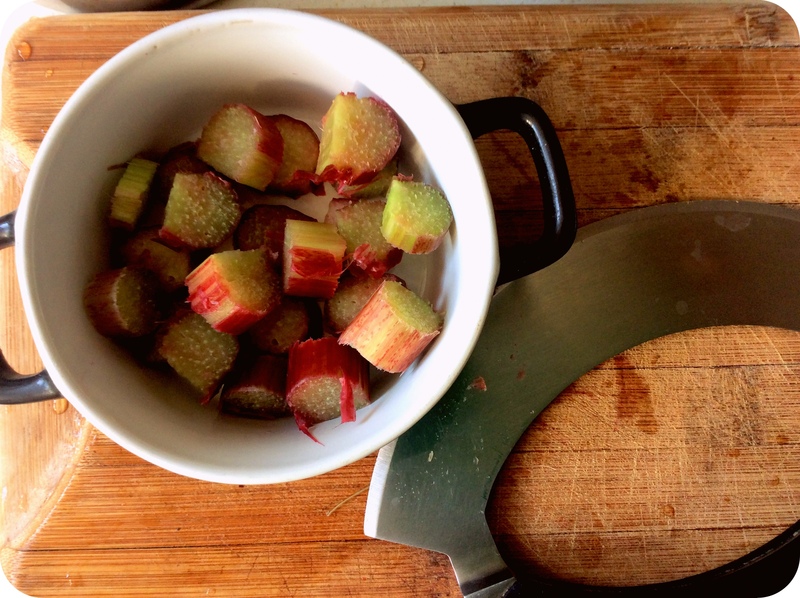 Sprinkle over the top of your rhubarb. This makes a soft, English-style crumble, if you prefer crunchy you could add flaked almonds, coconut flakes or oats. Bake at 175 C or 345 F for 20 to 30 minutes (10 to 15 for a ramekin). The crumble is done when it is golden and a little bubbly. With Summer on the way and a long weekend this week both in the UK and the US, now is a great time to pack up your picnic of choice and go find someplace to enjoy the sun. 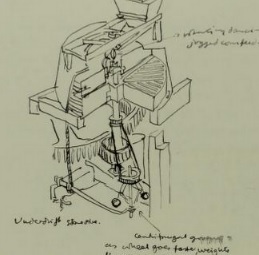 1975, Little, Brown and Company. Goodbye Winter! 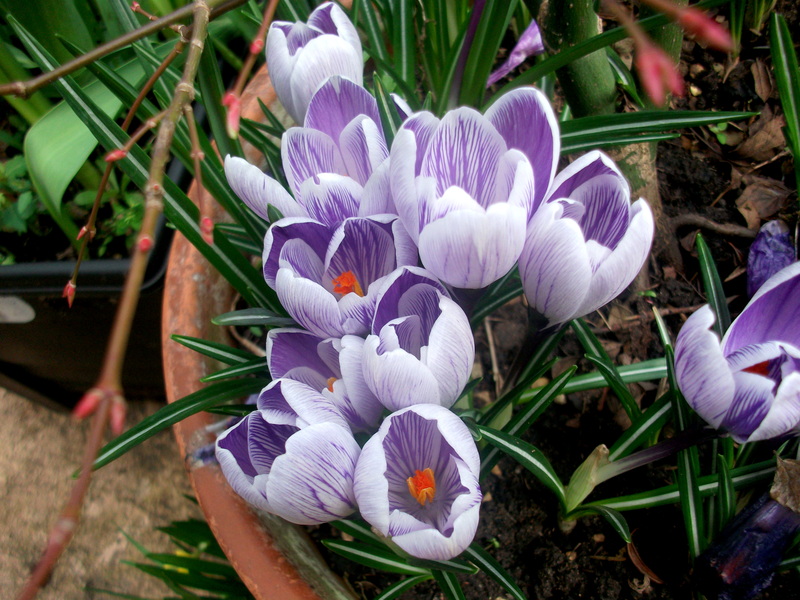 Many flowers are out now: snowdrops, crocuses, and daffodils. The mornings and evenings are lighter. Now when I have to get up before 6 am there is a slight brightness to the sky, which makes it a lot easier to drag myself out of bed! However, it is still very, very cold — colder than it was in December (we’ve had a very weird Winter here). 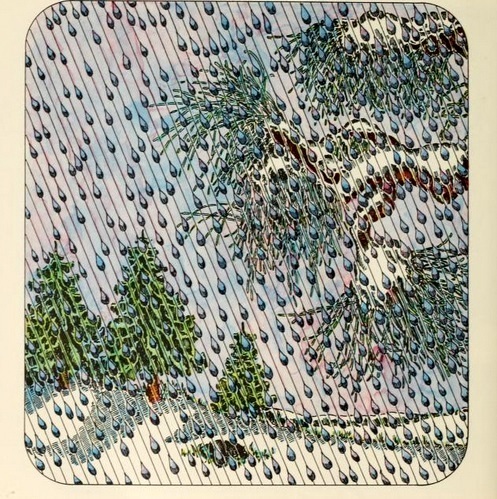 So here is a book for cold weather that looks forward to Spring. 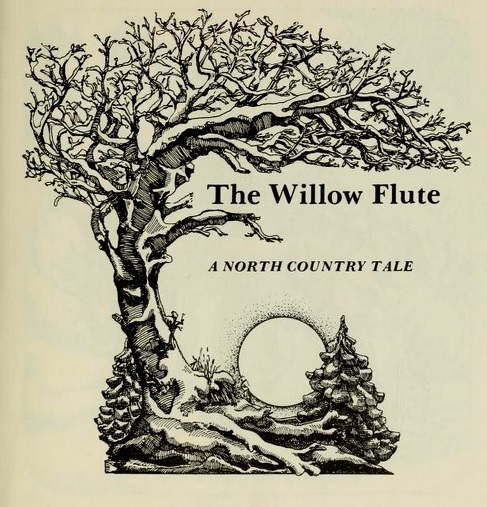 The Willow Flute tells the story of Lewis Shrew, who lives in a great forest. 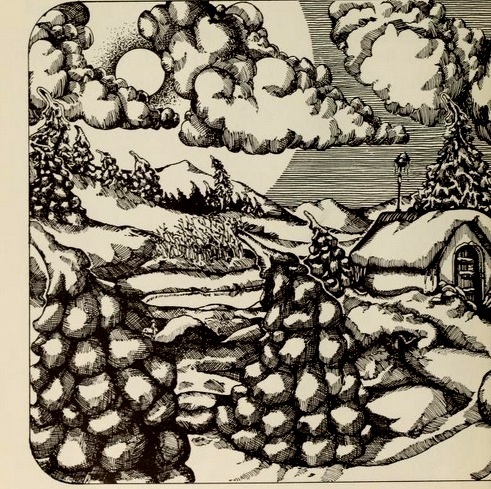 One March evening, Lewis puts on his “boots and his old overcoat, his muffler and his mittens” to go out into “the white woods” to gather twigs for firewood. When he goes out into the woods and sniffs the air, the woods seem different, even though they are still covered in ice and snow. But “a hint of springtime swirled in the wind.” After gathering twigs, Lewis sits down to rest and falls asleep. 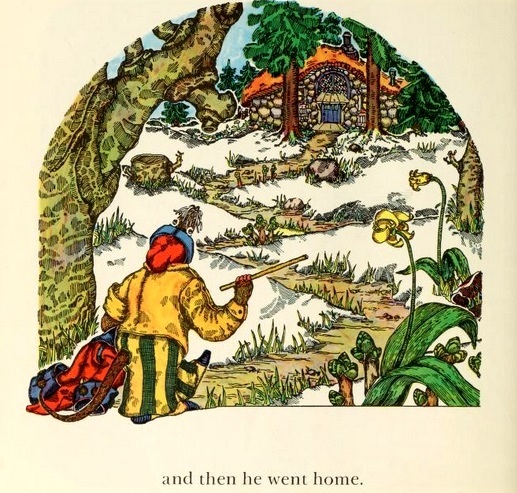 When he wakes he is disoriented by the night and cold, and he longs for his house and a cheery fire. Lost and scared to go out on the surface because of owls, he starts to tunnel under the snow. His clothes are soon torn and he loses his muffler. Eventually he finds shelter in an abandoned cabin. There he finds a willow flute and plays it. 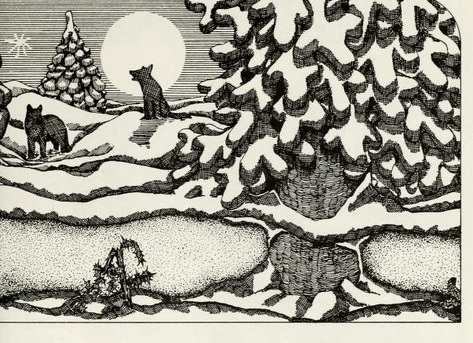 But the illustrations are idiosyncratic and striking, done in a very bold and graphic style in black & white, with the interesting choice to bring color in gradually with the arrival of Spring. 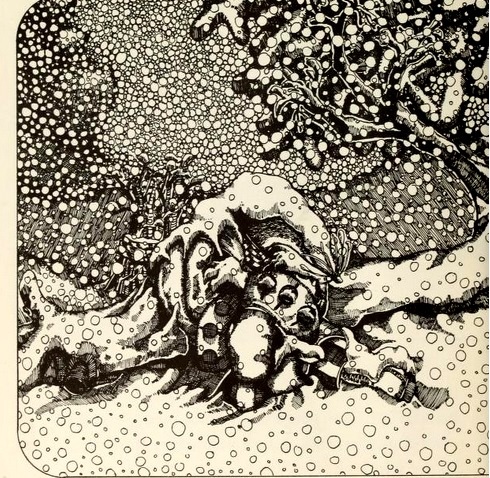 Older children could explore these stylistic choices in art, with the creative use of hatching and crosshatching, detail and negative space, and other techniques to create an interesting image with just pen and ink. Another interesting idea would be to explore the story itself, as the author makes the interesting choice to not really explain many things — whose cabin is it? 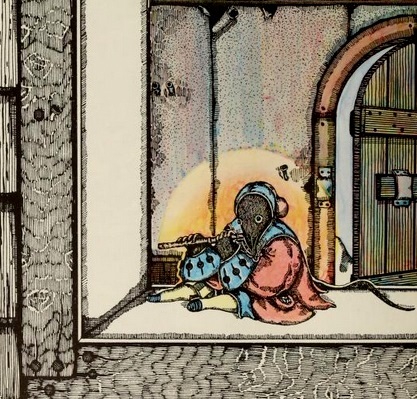 How does the magic flute work? What is the meaning of the cryptic sign (“The bird, whistle please”) which is on the cabin door? Who put it there? Why? These could all be good prompts for creative writing. This is a very interesting book in and of itself, and suitable for all ages. I myself have certainly had the experience of going out of doors in late Winter and finding that something is subtly different — a hint of Springtime is in the air. I have felt that this year already, but right now it is cold! It may well be where you are too. So here are some cold weather recipes. Maybe my number one comfort food is beef stew. 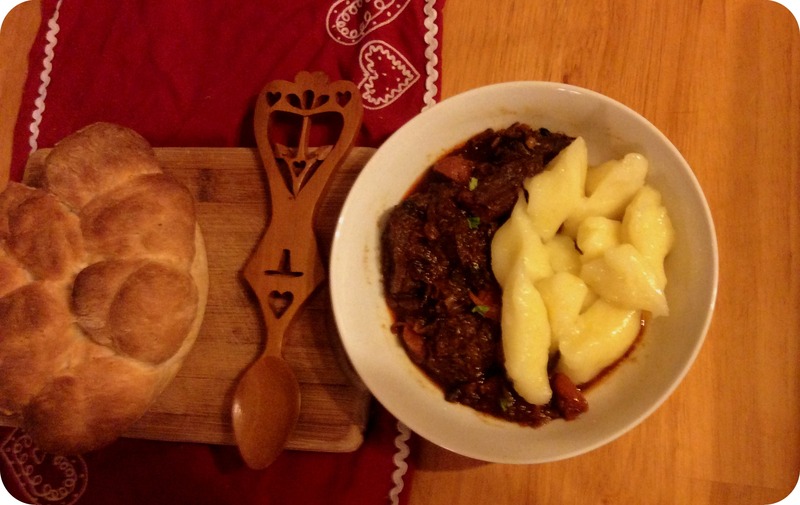 Daube is a French version, which is cheap, healthy and super comforting. 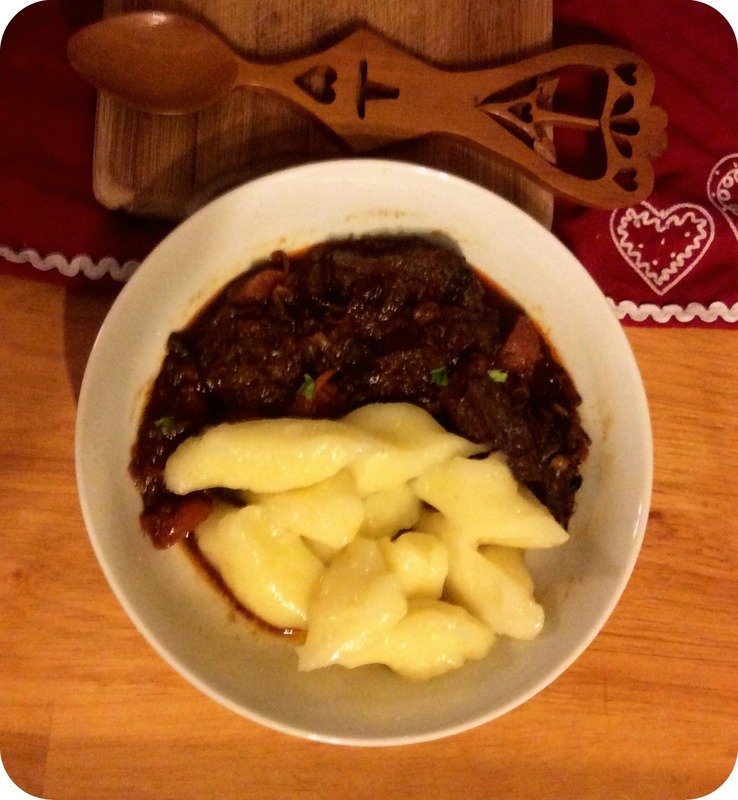 I’ve added ox cheek, which is full of collagen to make it extra unctuous and amazing. Chuck all the ingredients into a large Dutch oven or casserole dish with a lid. You can brown the meat and onions first, but I never bother, because who has the time? Cover and put in the oven at about 300 degrees F (that’s about 150 C). Bake for 2 1/2 to 2 hours (but check on it now and again to make sure the liquid isn’t drying out, and top up with water if it is). Once the meat is fork-tender, it is done! Serve on its own, or with egg noodles (I had mine with vareniki). 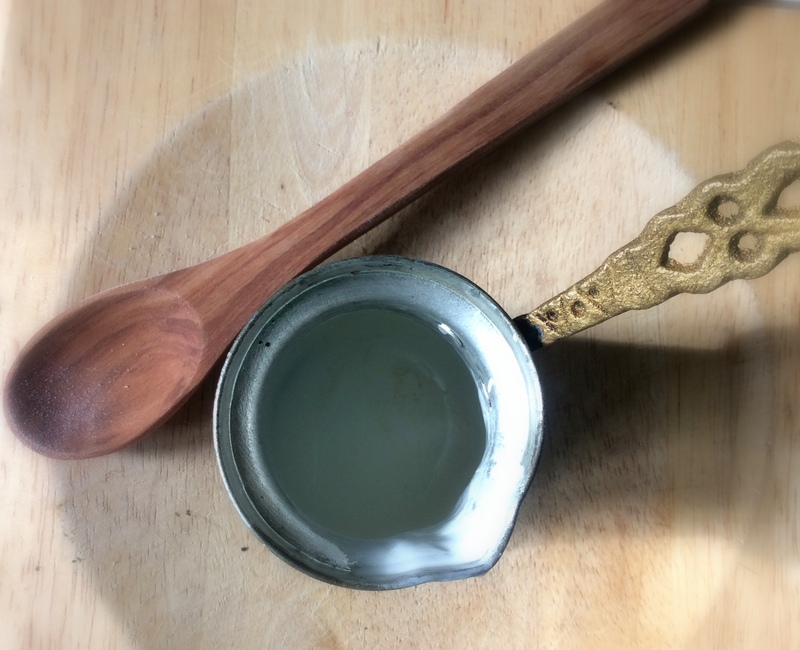 Since we could probably do with a hot drink, too, here is a recipe for Butter Tea! 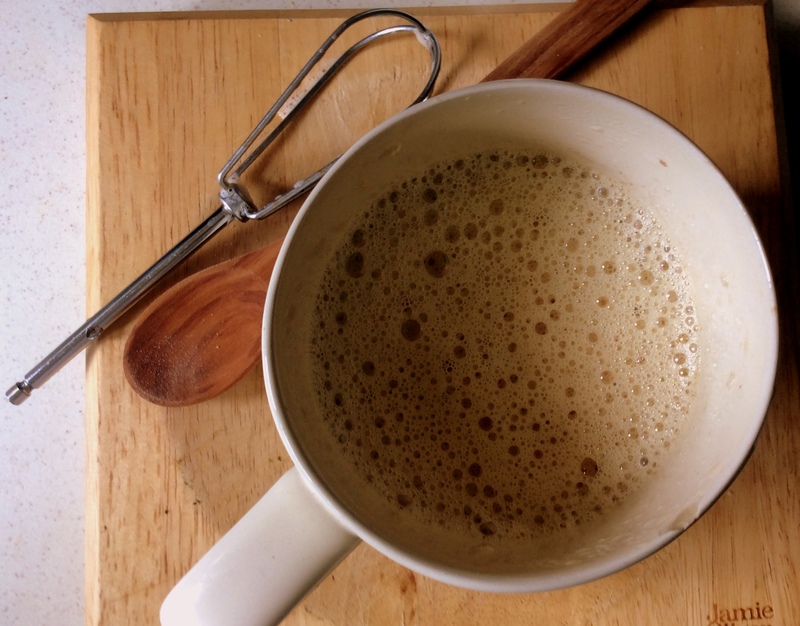 Butter tea (or po cha) is common in Tibet and neighboring countries, and is a good alternative for people who want to try Bulletproof-type coffee but don’t like coffee! It is very rich and nourishing. Boil the water and then steep the tea. Steep for at least 3 minutes so it’s nice and strong. Add the cream, salt, and butter. If you have a churn or a blender you can use those, or shake in a jar. But be careful — hot liquids can expand and leak! Personally, I use a tiny whisk that I can roll between my hands — almost as quick as an electric mixer and I don’t have to plug it in! 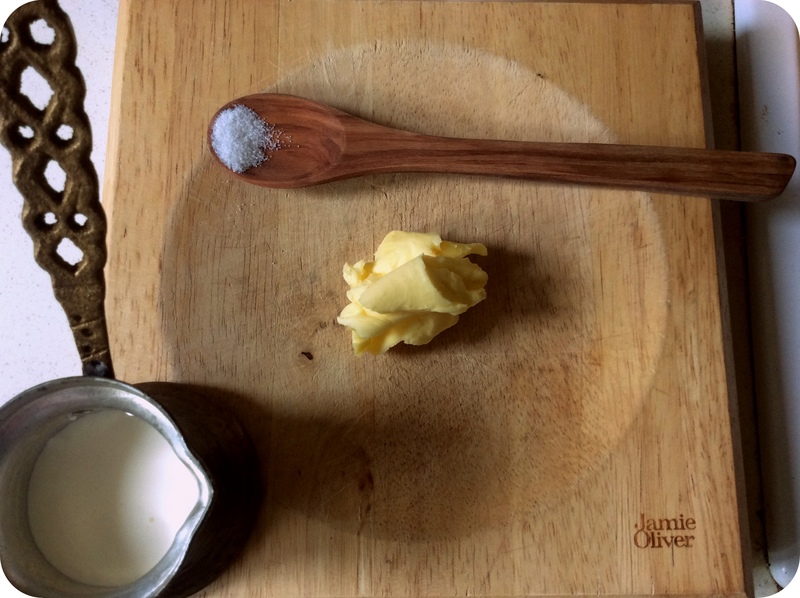 I have found that the butter emulsifies wonderfully. Drink while nice and hot! Note: it may be an acquired taste for those not used to it. You can add a teaspoon of honey, which changes it from salty to salty/sweet. Not necessarily authentic, but this recipe isn’t very authentic to begin with! Drink by your cheery fire, and think of Spring!